At the moment I am starting to make the concept art and ideas from a Game about the History of this World, from Genesis to the Apocalypse. I don't know if I can ask for help in this topic but, if anyone wants to help with the Bible game I would appreciate it a man alone can do many things but many men can make many more. Genesis to Apocalypse...you don't take small bites do ya? TheLittleSettler wrote: Genesis to Apocalypse...you don't take small bites do ya? But with a more Retro Style and no references to Evolution (-.-''), in other parts I am thinking about a Action RPG style mixed with a Quizz system, like when Moses speaks with the Pharaoh the player will have to choose the right words from many options in the text box, Jesus part will have to be the best one and I am still thinking about the best way of making it not just fun but special as well. As soon as I have any Pics I'll post them here on the forum sadly at this point this is juts an idea in my mind, I will have to look for someone who knows how to handle Sprite Art and some Music as well because even though I know how to draw ((Manga style)) I have no skill to create Sprites or Music. Thank you all. I hope you have nice times. All your stuff looks great guys! Keep it up. 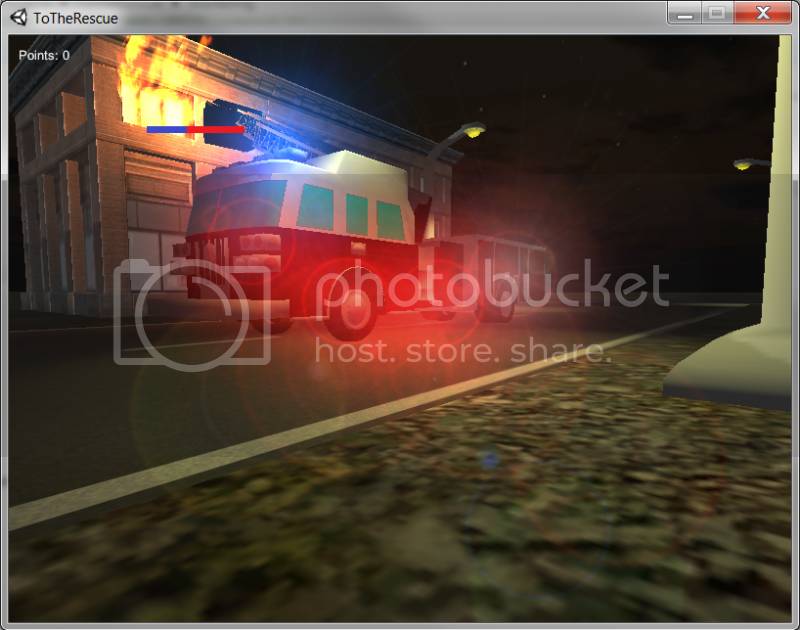 Been working on a fire truck rescue game for my son as a learning vehicle for blender and unity. I made the fire truck and street lights in blender. I found a good youtube tutorial for how to make fire. - Points updated when fire gets put out. Brings to my memory a Game & Watch Donald Duck game where you were putting down fire. Nice work muadib! I really need to get back into 3d modeling. It's so cool. I've done some contract work with a church in Columbus. I'm not sure if it's OK to share screen shots of it here, so I'll stay on the safe side and not. I like the shading you've done in jonah's cloak, the whale, and the environment. It's cool how the different colors can give the art more personality. I'm still working on that. Thanks brandav, I appreciate the kind words. Hello all again, it's been a long while since I've posted something here, sorry for this. I have made a new website for online Christian games which will eventually replace the old website christgaming.com which was pretty outdated. I will be adding more features to the new website the couple of weeks and develop some more games. Great work, Berryjmker. I'm looking forward to seeing the new site develop. Thanks again Mikale I am also curious how it will go, christgaming.com was doing decent with about 200 visitors each day even though I didn't updated the website in months. With the new user registration on the new website and rating system I'm hoping to get some more feedback from the visitors about the sort of games they like and features they would like to see on the website. Congrats on the new license with Operation World and sponsor with the Diocese of London! You've impacted a lot of people with your app. That's pretty awesome. Experimenting with color schemes and depth perspective in photoshop.